While the Montecito area is home to great restaurants and shopping, its natural assets are the real stars of the show. Lace up your hiking boots and head outdoors to the hills of Montecito, where on a clear day you’ll find epic views from the city of Santa Barbara to the Channel Islands and beyond. 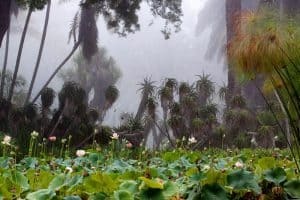 With over 15 different trails and a plethora of flora and fauna, the hiking in Santa Barbara ranges from easy nature walks to challenging climbs. 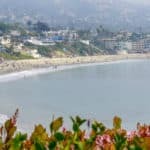 Montecito is home to some of the area’s most stunning stretches of coastline, from Fernald’s Point, past the calm waters of Miramar Beach and renowned surf break at Hammonds Point, to sparkling Butterfly Beach. Stand-up paddlers and surfers vie for waves, and sailboats sleepily bob against their moorings offshore. At Butterfly Beach, dogs are permitted on-leash, and its west-facing direction makes this swath of sand a perfect spot to soak in the sunset. The best time to visit Montecito is from March to May or from September to November. 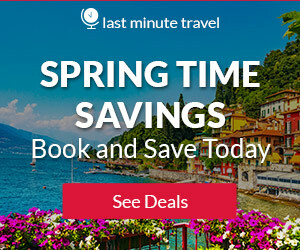 Temperatures are fairly mild year-round, hovering in the 60s and 70s, but traveling in early spring or fall ensures you won’t be fighting crowds and rates will be less expensive. 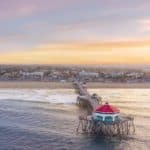 Summer welcomes most of the city’s annual events and it’s also peak season if you’re looking for a beach vacation, but you’ll have to contend with more crowds. If you’re traveling during the winter months, make sure to pack an umbrella because Santa Barbara sees most of its rainfall between December and February. No matter when you decide to visit, pack layers as the as morning and late evening temperatures tend to be much cooler than the daytime highs. During December – February, daytime temperatures range from highs in the mid-60s and drop to lows in the mid-40s at night, which is freezing by Montecito standards. This season is also when the city sees most of its precipitation, which means it’s not ideal for sightseeing or lounging on the beach. But, this also means prices are likely the lowest. 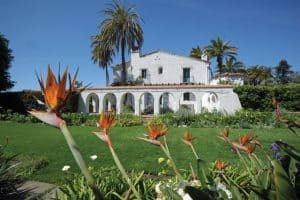 Spring (March – May), is one of the best times to see Montecito, before the crowds of summer descend on the city. Temperatures are still mild with highs in the upper 60s and the city will see plenty of sun, making it ideal for seeing the sights. You’ll find pleasant temperatures during June – August averaging in the 70s and hardly any rainfall, summer is peak season in Montecito. This is the time of year when most of the annual events occur in the city, bringing with them more crowds and elevated hotel prices. This is also the time of year locals call “June Gloom” — the foggy season. Crowds have thinned out by early September but high temperatures still hover in the upper 60s to mid-70s, making fall a great time to visit the city. Room rates will also have dropped from their summer highs. Just watch out for the Santa Ana winds, which can be strong this time of year. Butterfly Beach is perfect for romantic strolls. Bring a bottle of champagne and take a seat on the rock wall that lines the upper part of the beach, offering a comfortable vantage point with stunning views (even on not-so-sunny days). Another perk to Butterfly is that it looks west, unlike most of Santa Barbara’s south-facing beaches. That makes it one of the few Californian beaches where you can watch the sun set over the water. Hungry? Parched? Sore? The legendary Four Seasons Resort the Biltmore Santa Barbara is just across the street, with a great restaurant, bar and spa that will definitely impress your significant other. The Parks Division manages the Andrée Clark Bird Refuge, a 42-acre open space park that includes a 29-acre lake that is an artificially modified estuary that supports brackish wetlands. Three islands are located in the lake. The park provides passive recreation opportunities such as bird watching, hiking, and biking. Boating and fishing are prohibited, as is feeding the wildlife. 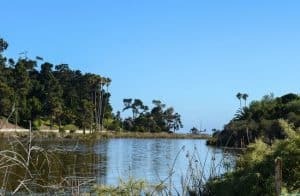 The Bird Refuge is a scenic resource with views to and from scenic highways (East Cabrillo Boulevard and Highway 101) and provides a view of aquatic and terrestrial habitats. A public beach located in front of a gated community in Montecito, Miramar Beach offers beach walking, swimming and surfing. At low tide, this south-facing beach features tide pools for exploration. A boat for all occasions; Luxury cruising aboard, “Azure Seas”, a multi-level 70′ yacht with a full bar. Perfect for Sunset Cruises, Coastal Cruises, Whale Watching and Private Charters leaving from the historic Stearns Wharf in Santa Barbara. Enjoy a narrated tour or private charter on the happiest boat in Santa Barbara, Lil’ Toot. For more information call 805-465-6676, or visit them on the web at Celebration Cruises. The Paddle Sports Center is a premier Kayak | SUP | Surf rental, membership, instruction, and tour center. Explore the waterfront & view sea birds, sea lions, seals, dolphins, and even whales! We provide instruction and comfortable/quality gear. Their rental rates are the best in town and their local guides are extremely knowledgeable about the area. 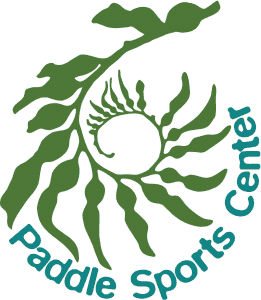 For more information call 805-617-3425, or visit them on the web at Paddle Sports Center. Located on the lush grounds of the San Ysidro Ranch (one of the area’s finest luxury hotels), the Stonehouse is comprised of two main areas. There is a lounge area, complete with full bar, and separate dining room with creek-side views. On temperate evenings, you can enjoy your dinner and gaze at the ocean from the peaceful deck. Their menu emphasizes regional cuisine prepared with fresh fruits and vegetables, harvested from the kitchen’s onsite garden. Reservations are recommended. For more information call 805-565-1700, or visit them on the web at Stonehouse at San Ysidro Ranch. Legendary Lucky’s ensures that diners get the best steaks and chops possible. Terrific ingredients make the difference, and everything is made in-house. Aged Midwestern beef in a variety of cuts draws rave reviews, as do racks of lamb, chops, Maine lobster, fresh fish and hefty shrimp cocktails. The stylish interior boasts black-and-white photos of classic film stars, and an outdoor patio adds to the charm. Well-received and always popular. Sit at the bar, rub elbows with Santa Barbara’s who’s who and order a plate of onion strings and a martini – now that’s an evening well-spent! For more information call 805-565-7540, or visit them on the web at Lucky’s. This popular establishment not only serves incredible food but offers a bit of star-gazing potential as well, thanks to celebrity regulars. Mollie’s skills are showcased in homemade breads, gelati and pastas (salmon lasagna! ), although her hand is just as capable when crafting meat dishes and European-style pizzas. Patrons are constantly impressed by the creative food and inviting ambience, and quality always stands out as paramount. Jackets (and reservations) recommended for dinner. Located right on Coast Village Road, there is ample parking nearby, as well as a nice variety of shops and galleries. For more information call 805-565-9381, or visit them on the web at Trattoria Mollie. A favorite with the locals, their menu features south-of-the-border favorites with a Santa Barbara twist – like locally caught seafood. Every table receives a basket of bottomless chips with house salsas (the black bean salsa is extremely popular). Regulars rave about Cava’s inventive, handcrafted cocktails, like elderflower margaritas and spicy, chili-infused martinis. The cheery dining room features close-set tables, a fireplace, a bar and live music on most nights. For more information call 805-969-8500, or visit them on the web at Cava Restaurant. From the moment you set foot inside the restaurant, Tre Lune’s mission is clear: each of their patrons will walk away with a classic taste of Italy. And come back, again and again, as their many loyal customers already do. To start with, there is the decor – all warm wood and clean surfaces with nary a dusty grape leaf in sight. Black and white photos of vintage celebrities line the walls. And then there’s the food. Tre Lune’s menu celebrates the different regions of Italy, each dish made with the freshest components, highlighting a prestigious ingredient. For more information call 805-969-2646, or visit them on the web at Tre Lune Ristorante – Bar. 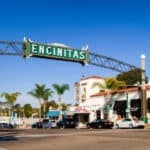 A happening place to go for small bites and tasty cocktails in Montecito! Hit up the Honor Bar when you feel like catching up with friends – or making new. The social atmosphere at the bar is fun, and the sunny patio is ideal for soaking up the sun over lunch, dinner or drinks. There are lots of tasty appetizers to be had, like deviled eggs, and plenty of wines available by the glass. You can also pick up grab and go pizzas if you’re in a hurry. Located on one of the best shopping streets in the area, and the patio is dog friendly. For more information call 805-969-6964, or visit them on the web at The Honor Bar. Regulars rave about Cava’s inventive, handcrafted cocktails, like elderflower margaritas and spicy, chili-infused martinis. The cheery dining room features close-set tables, a fireplace, a bar and live music on most nights. 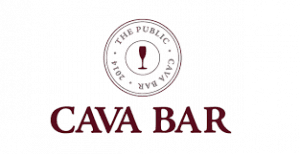 For more information call 805-969-8500, or visit them on the web at Cava Bar. The stylish interior boasts black-and-white photos of classic film stars, and an outdoor patio adds to the charm. Well-received and always popular. Sit at the bar, rub elbows with Santa Barbara’s who’s who and order a plate of onion strings and a martini – now that’s an evening well-spent! For more information call 805-565-7540, or visit them on the web at Lucky’s. Under Winemaker Bruce McGuire the winery and vineyards have grown in size and prestige producing outstanding wines that are now available throughout the country and exported to Canada, Japan, Germany, Switzerland and now China. The Wine Bistro is both a showcase for these wines and for the culinary art of their Chef. For more information call 805-969-7520, or visit them on the web at Wine Bistro. Located in beautiful Santa Barbara, California, Coast Village Inn offers guests the ideal combination of comfort, location, and affordability. Built in 1935, Coast Village Inn offers a quaint and relaxing retreat for family vacations, romantic getaways, and business trips. Plan your escape and get ready to relax and unwind on California’s Central Coast. With 27 guest rooms to choose from, we can accommodate nearly any size group. For more information, pricing, or to reserve your room, visit the Coast Village Inn. This property is a 8-minute walk from the beach. Less than a 10-minute walk to the beach, this Santa Barbara area historic boutique inn provides a daily continental breakfast. A flat-screen cable TV is available in all guest rooms. ch room has a DVD player at the Montecito Inn. Built in 1928 by Hollywood legend Charlie Chaplin, guests can enjoy the peaceful grounds and on site spa and health club. An outdoor heated pool and hot tub are also included at the Inn Montecito. A fitness center, business center, and same day dry cleaning and laundry services are all available for guest convenience. For more information, pricing, or to reserve your room, visit Montecito Inn. This property is 2 minutes walk from the beach. Blue Sands Inn is located in Santa Barbara, 29 miles from Solvang and 24 miles from Ventura. Free private parking is available on site. All rooms come with a flat-screen TV with satellite channels. Certain rooms include a sitting area where you can relax. You will find a coffee machine in the room. Every room is fitted with a private bathroom. Extras include free toiletries and a hairdryer. There is concierge services at the property. Bike rental is available at this inn and the area is popular for biking. For more information, pricing, or to reserve your room, visit the Blue Sands Inn. This property is 1 minute walk from the beach. Spa Beaumontia, a full-service spa experience, is available on site at this hotel. Rooms feature a flat-screen TV and a minibar. Stearn’s Wharf is less than a 5 minute walk away. The modern rooms at Harbor View Inn include terry cloth bath robes and free Wi-Fi. A safe and a work desk are also provided. A swimming pool and fitness center, including a sauna, are available for guest relaxation at the Inn Harbor View. A business center and concierge service is both featured for maximum convenience. Shops are in the hotel. Several on site dining options are available at the Harbor View Inn. A poolside bar and grill and State Street Coffee are both featured to give guests quick and easy dining options. Eladios Restaurant and Bar, offering intimate and comfortable dining, features sweeping views of the Pacific Ocean and is open for breakfast, lunch, and dinner. For more information, pricing, or to reserve your room, visit the Harbor View Inn. This property is 2 minutes walk from the beach. On 20 acres of lush coastal gardens and with a full spa, this beachside retreat features 3 on-site dining options. The guest rooms include Spanish-inspired furnishings and views of the grounds. Thick terry bathrobes are available in the Spanish-tile private bathroom in each guest room at the Four Seasons Resort The Biltmore Santa Barbara. A stocked minibar fridge, cable TV and DVD player are also included. Views of the gardens, courtyard, or ocean are available and some rooms feature a private terrace. Bella Vista specializes in organic, Italian-inspired, California cuisine at Biltmore Santa Barbara Four Seasons Resort. Guests can enjoy classic and signature cocktails on an outdoor ocean view terrace or inside by the fireplace at Ty Lounge. Located at the private Coral Casino Beach and Cabana Club, Coral Cafe and Bar features casual poolside dining and Tydes serves modern cuisine with seafood and Santa Barbara’s best oceanfront views. A daily access fee applies for some room categories. Offering various treatments, a full spa featuring 11 treatment rooms, including 4 suites with relaxing fireplaces and soaking bathtubs, is on site. Guests can enjoy a swim in either the garden pool or the 160 foot lap pool available at the property. Two hard surfaced tennis courts, 1 faux-grass tennis court, and a fitness center are also included. For more information, pricing, or to reserve your room, visit the Four Seasons Resort, The Biltmore. My wife and I are always looking for new destinations that have beautiful scenery and tons of hiking trails. Montecito looks to have everything we are looking for in a destination. One question about the trails, do you know the distances of some of these hikes? We prefer something in the medium difficulty range that is at least 5 miles. Anyway, if you have links to more information on hiking in this area, we’d love to see them! Ok, there are lots of hiking trails in the length range you are looking for. Go to this link for a list of trails and information on each trail. Glad you enjoyed reading, and thanks for stopping by! Wow you’ve covered everything here and made my upcoming trip all the more exciting. I am a Cali native but have been living overseas in Europe for 8 years. However, the mister and I are heading back Stateside for a visit this July and this is one of our destinations! He has never been nor have I. You listed great things for us, but would you happen to know of any great places there with any Vegan options? Ok, here are three great choices with vegan options: Panino Montecito, Jeannine’s American Bakery Restaurant, and Olivers. You will love any/all of these. Enjoy your vacation back home! A fantastic review of the area, hotels, and restaurants! It’s like you did all the footwork for us! You put a lot of great information here that will help me determine what I’d like to do when I’m there or where like to stay. I’m in a wheelchair, do you know if any of the hotel see listed have wheelchair accessible rooms? Thanks again for a great post! Lotusland is amazing! Thank you for stopping by! We are heading to California this summer for a vacation, and I have been thinking about spending some time in Santa Barbara. My kids are super excited about going to Universal Studios for a few days, and my wife and I are excited about the beaches. We haven’t spent any time in Santa Barbara, but have always wanted to. Thank you for pointing out so many great places, from beaches to restaurants, even paddle board rentals. This is just what I needed! Now all the research is done for me. Thanks again, I appreciate it. You and your family will have a great time Steve. The whole area has so much to do for sure. Enjoy! Please let me know if you need any additional information or any help planning. Thanks for stopping by! Wow, it looks simply beautiful! What a wonderful destination to check out. I know you mentioned to go from May to say September for the best weather which makes sense. That being said, is that normally high season where everything is going to be packed? I’m happy to visit off season even if the weather is worse so long as there aren’t as many people…These days it seems like there’s a line or a wait for everything! Yes, it is going to be a lot more crowded during high season for sure. I don’t think that you will find the weather to be too terrible any time of year you go. Just depends on if you want to head to the beach or not. The water can get quite chilly during the winter months. But, there is so much to see in this area, that you can stay busy without the beaches. Thanks for reading! So many beaches and so little time. WOW. Thanks for pointing out the times to go and not fight the crowds. I hate fighting crowds. I will make sure not to go in June as I want to be able to see the beaches and not the fog. Great restaurant choices as I like to go to places with freshly caught seafood (Cava). Another great article. I joined your email list and I encourage everyone to do so. The travel guide you have made is very well structured, and the information provided gives me exactly what I need to know, so I can have a vivid idea of how it would be in Montecito. I also appreciate you giving me an understanding of when it is best to go to this area, whether it is going when it’s not as crowded and I can save money, or if I want to splurge and take in the full experience. Either way I feel that the experience would be enjoyable. Oh, yes it would be an enjoyable experience 😀 The whole area is chock full of gorgeous beaches, things to do and amazing wildlife…not to mention all the great restaurants. Thanks for taking the time to comment. I live in Australia, but I have visited the States a few times. The Nashville, Raleigh and Chicago areas mainly. I hadn’t considered Montecito, but I might just have to put it on my list! I had no idea about the beautiful beaches, and Butterfly Beach sounds really magical. I have a toddler, how does Montecito rate as a family holiday destination? Yes, Montecito is a great family destination. Great for playing in the sand, seeing all the wildlife (turtles, whales, dolphins, different birds) will keep them occupied. And you will love it as well. Thanks for reading! Thank you for this interesting information I will bookmark your post to visit it next time. I am very interested in the different beaches uniqueness.I wish I have the money to visit them this summer.The butterfly beach caught my interest, especially with the sunset time. Glad you enjoyed Abraham! Thanks for reading and come back again when you are ready to head to Montecito beaches! Thoroughly enjoyed this great article, I love reading about different destinations and what’s on offer there and you’ve certainly described it in detail. I love the links to the various hotels, restaurants etc. it makes it so easy for people to see what they’re all about with one click. My son and I are very much into snorkelling, is there much marine life in the area? Being from the UK it’s a bit more difficult to get to the West coast of the USA but it’s definitely somewhere I want to visit soon. I’ll be sure to check back on your site before I do! Oh my gosh, there is so much marine life here. 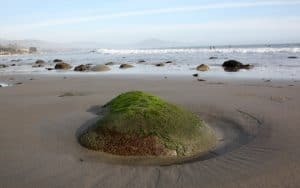 You should check out my Carpinteria Travel Guide as well. It is great for families and lots of things to do with the marine life for the area. Thanks for visiting BeachTravelDestinatons.com. The Butterfly Beach sounds like the beach I need to be on. I like to watch a sunset over the water. The last one I did see was at Key West, it was spectacular. The water stuff like Whale Watching and stand up boards are some of my favorite things to do. Thanks for the complete information for the Motecito Beach area of California. I did not see a great Seafood restaurant on your list, is there on close by. There is not a good seafood restaurant right in Montecito, but there several close at hand. The top choices are going to be Brophy Bros., The Drunken Crab, and Santa Barbara Shellfish Company to name a few. Yes, Butterfly Beach is a great choice. I have seen sunsets over it and over Key West. And they are both equally amazing! Thanks for reading! Hi Leahrae, thank you for this great insight into what sounds like a beautiful place. I love the sound of Montecito and the names of the beaches make it sound amazing. You really got me with the butterfly beach and the thought of sitting on the wall with a glass of champagne while watching the sun sets sounds so romantic. Thanks for making me want to come and see Calefornia and Montecito. I will have to start saving now. It’s a beautiful place Cheryl! The whole area is beautiful actually. Thanks for visiting my Montecito Travel Guide. I visited Santa Barbara several years ago and found the place to be an absolute paradise. I was there in the middle of December and still managed to get a tan on the beach 😀 there aren’t many places one can say that. Would you say this is one of California’s best beaches? Also, I didn’t realise those islands were called the ‘Channel Islands’, perhaps they have some historical relation to the Channel Islands between England and France? Who knows! Great article that offers something for just about anyone! 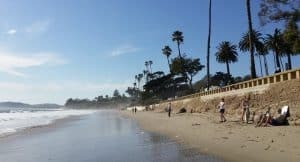 Living in the midwest where we have finally gotten rid of the snow, your travel guide of Montecito certainly wets the appetite for the sun and beaches! Luck’s certainly caught my eye as I enjoy a good steak! Have you eaten there? The photos of classic film stars is definitely a nice feature as well. The hotels look quite nice as well and an added bonus it seems you are just minutes from the beaches. Are reservations difficult to come by? Thanks for sharing this fantastic article with the in-depth information. Montecio is definitely a place I will now consider on visiting! You have provided another great travel guide! I especially enjoyed the video on butterfly beach. Montecito has a lot to offer the tourist. As you have illustrated, plenty to do, great restaurants and hotels to go along with some superb beaches. A great tourist attraction. I think it is a great beach destination Mick 🙂 I am glad you enjoyed reading my Montecito Travel Guide as well. Thanks for visiting! This Montecito travel guide sums it up nicely by saying a getaway or two. The more I read about the area, the more I learn about what all there is to actually take in when not just looking for a beach day. Lotusland sounds like one of those places you simply must see but then there are the tide pools where you can relax and enjoy the evening out. One more area to put down as a travel destination, my list is getting quite long now. I agree about Lotusland, and the tide pools actually. I love the beach, but I also like to get out and see and do things. I think that the entire Ventura County area has so much to offer. Thanks for visiting beachtraveldestinations.com.